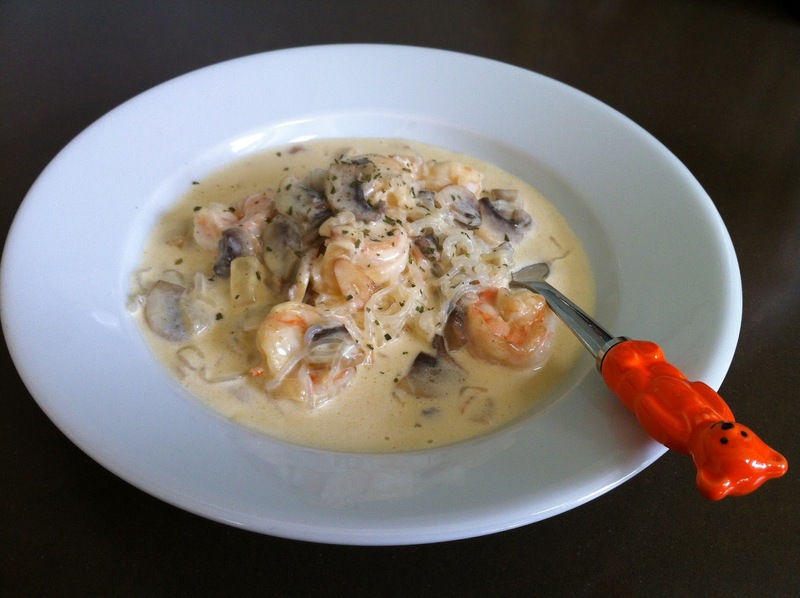 pasta carbonara | what is clara eating today? 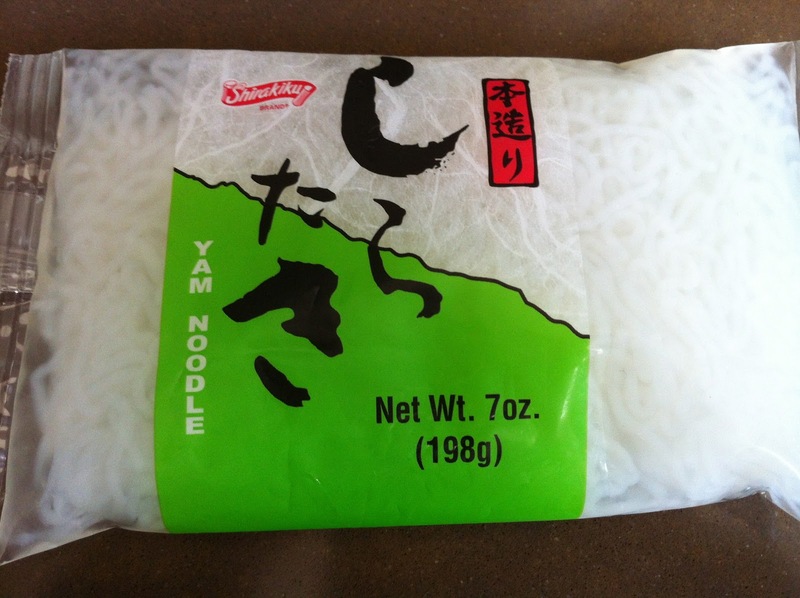 Rinse Shirataki noodles thoroughly in cold running water. Boil 1 cup of water in a small pan. When the water starts to boil, add the noodles and boil for 30 sec -1 min (please see the packaging for directions). Drain and rinse with cold water. Set aside. In a sauce pan, heat olive oil. sautee garlic. add mushroom and shrimp and sautee. add cream and cocout milk and let it boil for a moment. add parmesan cheese and noodle and mix well with the sauce. season with salt and pepper. after placing pasta and sauce on a plate, sprinkle with parsley flakes. adding bacon (or pancetta) makes the sauce more flavorful, but since the nutrition facts vary too much among brands, i left it out here. i sometimes serve 1/2 slice of bread (julian bakery #1) toasted with 1T of butter, for dipping in the sauce. but this will lower the ratio a little. If you don’t have time to make the sauce yourself, Williams Sonoma sells Carbonara sauce that has great ratio with low carb. I sometimes serve that with the noodles.